We are Parsi-Zoroastrians. Our ancestors fled to India from Persia almost 1400 years ago to escape religious persecution by Arab invaders. Our visit to Iran, erstwhile Persia, was meant to be a return to our roots. We were a group of six: my wife Jeroo and I, her sister Fareda and Fareda’s husband Shujaat, their friends Anuja and Charu Sharma. 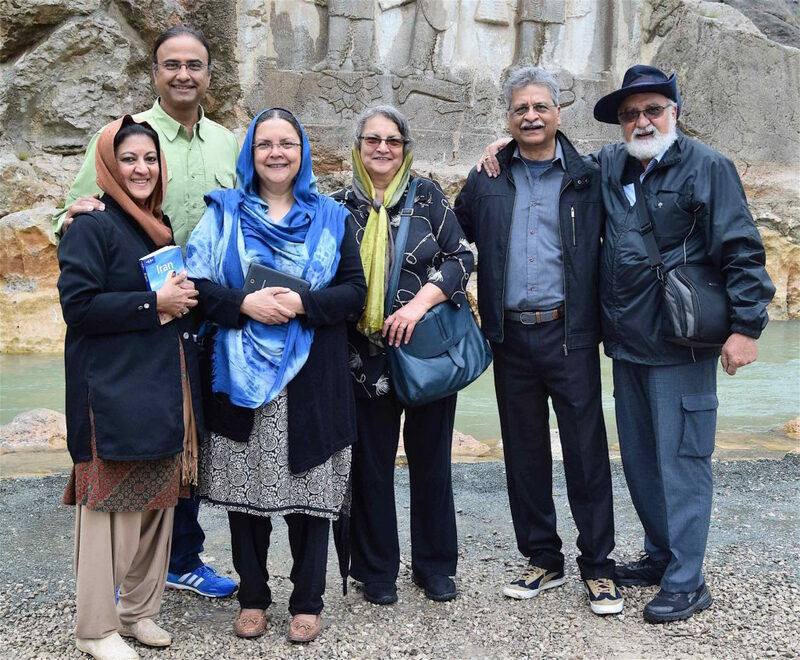 It was a journey that would take us over 1700 kilometres by road, from Shiraz in the south to Tehran in the north via Persepolis, Bishapur, Parsagade, Yazd, Chak Chak, Naen, Isfahan, Abyaneh, Kashan, Kermanshah, Hamadan and Qom. Roman Emperor Valerian kneeling in surrender before Shapur I, son of the founder of the Sasanian dynasty. Rock relief. To me, being Zoroastrian meant reciting my ‘Kasti’ prayers – a holy ritual – twice a day, not knowing what they meant. I knew very little about our past. Now seemed to be a good time to remedy that! Although there is a great deal of controversy as to when our Prophet Zarathushtra (called Zoroaster by the Greeks) lived, the current consensus, based on linguistic evidence, points to around 2000 BC. Legend states that he was the only child to have laughed rather than cried at birth! The first prophet to espouse the doctrine of one God – Ahura Mazda – he urged his followers to follow the path of righteousness, seeing Truth as the highest good. The principles of Zoroastrianism, were encapsulated in three words: Humata – Hukta – Huvareshta, which translate to Good Thoughts, Good Words and Good Deeds. Over the centuries the faith grew in importance and became the dominant religion in Persia throughout the Achaemenid (550 BC to 330 BC), Parthian (247 BC to 224 AD) and Sasanian (224 AD – 651 AD) dynasties. Zoroastrianism also influenced the other three great revealed religions of the time – Judaism, Christianity and Islam. For over a century after the Arab conquest of Persia, Zoroastrians fled into the mountains and deserts of Persia to avoid Islamic persecution. Meanwhile, a group of Zoroastrians – our ancestors – set sail to Gujarat, on the western coast of India. Legend has it that when they requested asylum, Jadi Rana, the local ruler, motioned to a bowl of milk that was filled to the brim to indicate that his kingdom was already full, and he could not accept refugees. In response, one of the Zoroastrian priests dissolved some sugar into the milk to indicate their assimilation into the local culture as well as their sweetening of, or value addition to society. Needless to say, the king was charmed, and the community adopted the local language, culture, dress and customs as per his mandate, but were permitted to practise their own religion. We have more than lived up to our word! Some of the most significant contributions to the country at large have been made by Parsis. Our intrepid band of travellers landed in Shiraz, the garden city in the south of Iran, where the great poet Hafiz lived and worked. His mausoleum and the city’s mosque, with its exquisite inlay and decorative tile work and stained glass windows, attract numerous young art students today. Nothing encapsulates the grandeur of Achaemenid achievement better than the city of Persepolis, an hour’s drive from Shiraz. 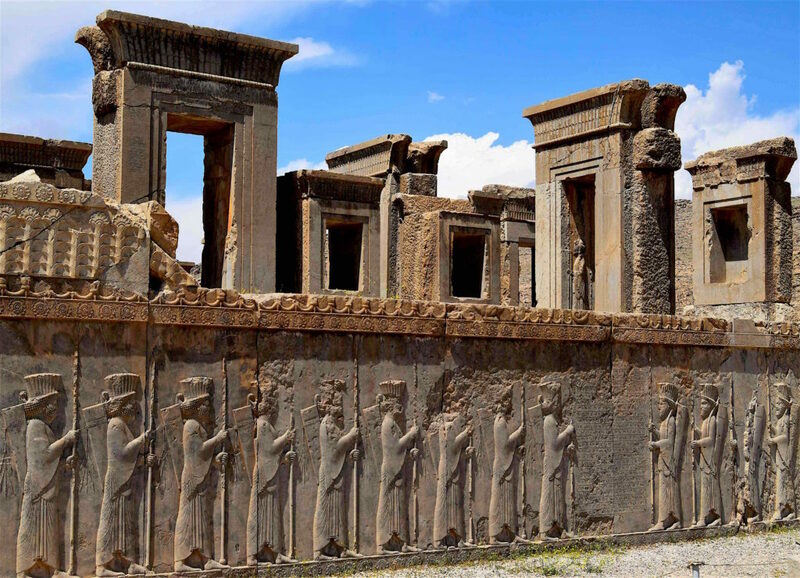 Founded by Darius the Great around 515 BCE, its construction continued until 424 BCE. 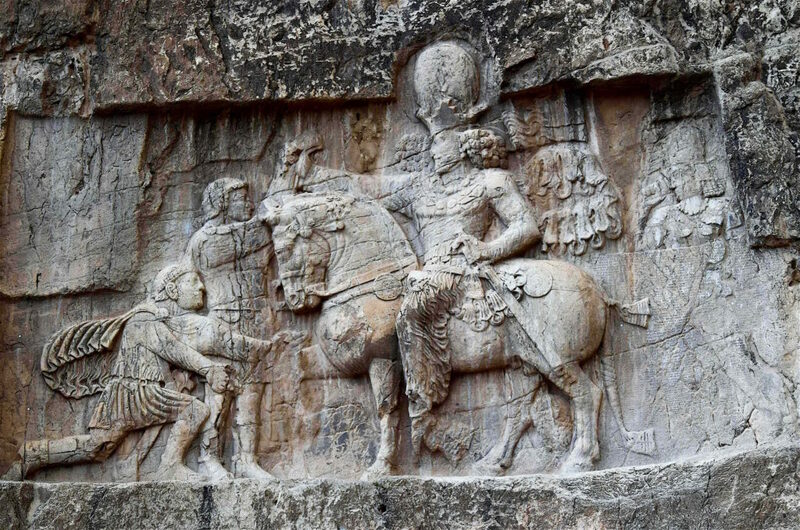 Here, at the festival of Navroze, tributes were brought to honour the great king from the 23 nations within his empire until 331 BC, when Alexander the Great defeated Darius III in battle and destroyed the city. It is a six-hour drive across the great Iranian desert from Shiraz to Yazd. It was to Yazd that the ancient Zoroastrians had flocked to avoid Islamic persecution. Today it still has the bulk of the Zoroastrian population in Iran (estimated to be between 20,000 to 25,000 in 2012). There is a functioning Fire Temple here whose sacred fire has been burning continuously for over 1400 years! The modern outlook of Iranian Zoroastrians is a point for us to ponder – their Fire Temple is open to all and they have female priests (Parsi fire temples in India do not admit people of other faiths, nor do they have female priests – it is a matter of hot debate within the community). Yazd also has an old Tower of Silence, once used for disposal of the Zoroastrian dead but it is no longer in use. The city palace boasts Iran’s largest ancient Wind Tower, an architectural feature that creates natural ventilation within the building. There is a Museum of Zoroastrian History and Culture at Yazd, funded by an Indian Parsi, a certain Mr. Marker. The Iranian Desert. View from Chak Chak. 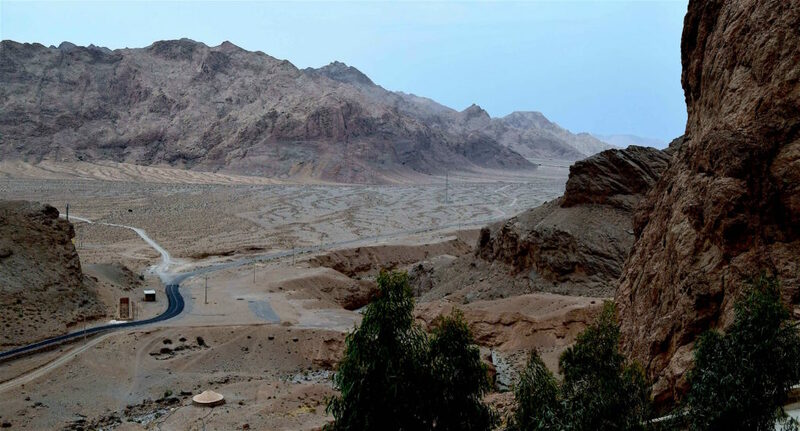 It is an hour’s drive from Yazd to Chak Chak. We are still in the great Iranian desert, but the topography is more undulating. As to the origins of Chak Chak, legend has it that Hayat Banoo, daughter of the last Sasanian King Yazdegird, was fleeing from enemy troops after the fall of the Sasanian capital Ctesiphon. As the enemy approached, she sighed, and looking at the arid mountain, said: “Embrace me as a kind Mother and save me.” Almost immediately, it is said, a gap opened up in the mountain and swallowed her. The enemy soldiers, nonplussed, left. After some time, the legend goes, water droplets began to drip like tears from the top of the mountain, and it turned green. We can vouch for the dripping water – the floor of the cave-room was very wet when we visited. It is a four-hour drive from Yazd to Isfahan, the ancient capital of Iran. Four hundred years ago, it was larger than London, more cosmopolitan than Paris, and grander, by some accounts, than fabled Istanbul. Its profusion of tree-lined boulevards, Persian gardens, mosques and important Islamic buildings give it an unmatched visual appeal. We stayed at the charming Kianpour House, a historical residence. 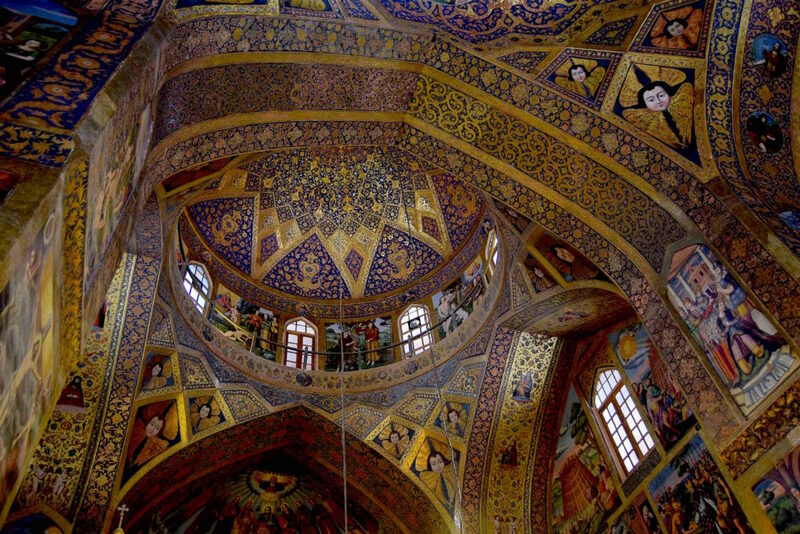 The real jewel in Isfahan’s crown however, was its Armenian Church, with frescos that rival, in my opinion, those in the Vatican. 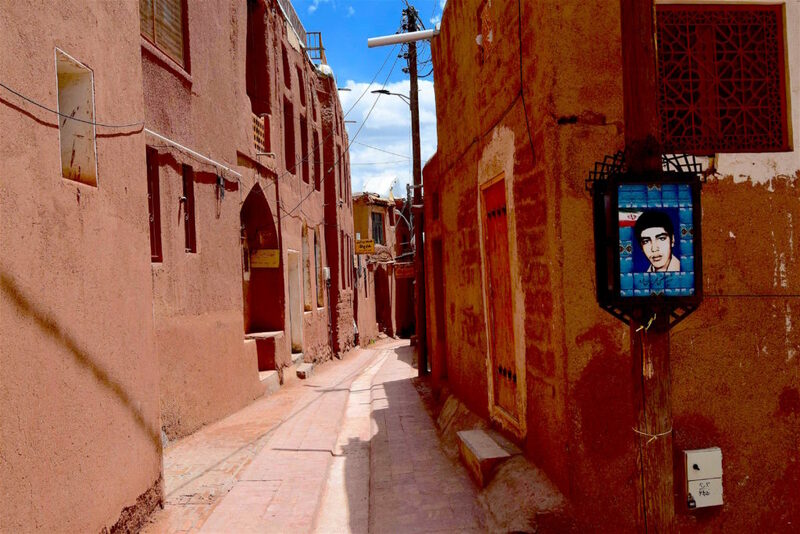 A day trip to Abyaneh, one of the oldest continuously inhabited villages in Iran, had portraits of the martyrs of the Iran-Iraq war fired in tiles, frozen in time; there are tens of thousands of them all over the country. What was also abundantly clear is that there is no love lost between the Shirazis and the Isfahanis. Our guide Mahshid, a Shirazi, lost no opportunity to warn us of the commercial chicanery of her Isfahani countrymen! 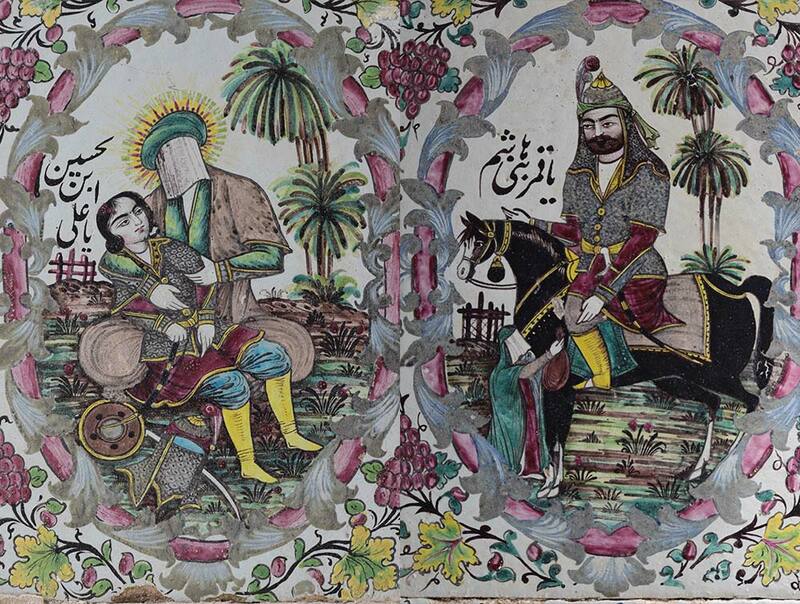 Tile painting in the Moaven al-Molk Tekyeh, Kermanshah. It takes seven hours by road from Isfahan to Kermanshah, famous for its inscriptions and rock-reliefs. The city, developed in 4 CE under the patronage of the Sasanian Kings, is along the former royal road to Baghdad. Such strategic positioning has brought it both prosperity and attack. It suffered brutal damage during the Iran-Iraq war (1980-88), although no evidence of that remains today. The highlight was the visit to the Imambara called Moaven al-Molk Tekyeh. It has magnificent frescos and tile portraits depicting scenes of the battle of Karbala (7 CE) and its aftermath. Imam Hussain, the founder of the Shia Sect of Islam, died during this battle. It is interesting to note that, in keeping with Islamic tradition, the faces of the Imam and the members of his family are never shown, and they are portrayed with a veil. This stretch of over 600 km was all done in one day with brief halts for sightseeing. Hamadan lies on the foothills of the Alvand Mountain, 182 km from Kermanshah. In ancient times, it had a large Jewish population, and it is famous as the site of the biblical Esther’s tomb. According to the caretaker, there are only nine Jews left in the city – just short of the quorum required for a complete religious service. After a stretch of 298 km, we were in Qom – the city of clerics. Qom is Shia Islam’s most important educational centre. It was here, from the Qom Mosque, that the Ayatollah Khomeini first called for the overthrow of the Shah and the establishment of an Islamic Republic. A final leg of 146 km took us to Tehran. That this was at all possible, is a tribute both to the quality of the roads and to the stamina of our driver. 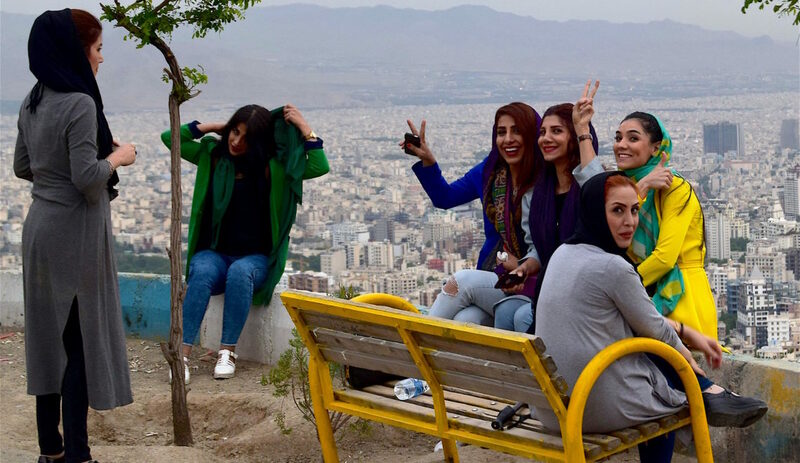 While time has stood still in the rest of Iran, Tehran is a vast and vibrant metropolis with a population of 9 million in the city and 16 million in the wider metropolitan area. In 1796, Agha Mohammad Khan, of the Qajar Dynasty, moved the Capital from Isfahan to Tehran in order to remain close to, and protect, Iran’s territories in the Caucasus. That objective failed, as these territories were lost to Russia in the Russo-Persian wars. However, the city remained the seat of the Qajars and the Pahlavis, the last two imperial dynasties of Iran. This imperial legacy is something the new rulers of Iran, the Clerics, have tried assiduously to eradicate. 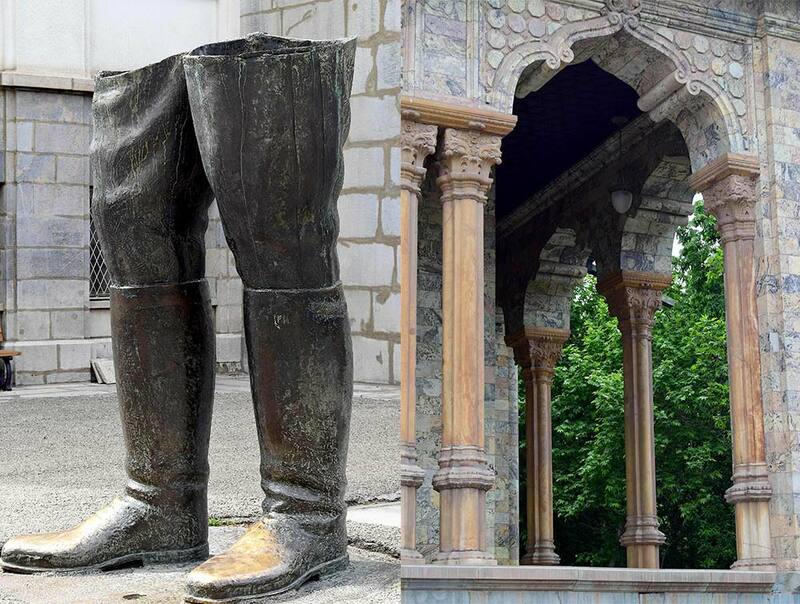 Today, all that remains of larger-than-life statue of Reza Shah Pahlavi in his palace complex are his boots that are about seven feet tall. However, royal memorabilia, including the crown jewels, have been carefully preserved, and continue to be displayed as the property of the people. Left: Reza Shah Pahlavi’s boots. Right: Palace complex of Reza Shah Pahlavi. There is no nightlife to speak of in Iran, but in Tehran we visited what can only be described as a small bistro with live music (unusual) and hookahs that were being smoked by men and women (unbelievable)! In our honour, the musicians played ‘Yeh Dosti’ (‘This Friendship’), a hit song from the 1975 Indian blockbuster Sholay. The film boasted the highest box-office sales of any film released in Iran until that time! And yes, the bottled water we drank was branded ‘Parsi’. It was a wonderful way to bid farewell to 19 days in Iran. Left to right: Anuja and Charu Sharma, Fareda Abrar, Jeroo Engineer, Shujaat Abrar and Khushroo Engineer. Acknowledgement: Some of the historical material here has been gleaned from the book Threads of Continuity by Dr. Shernaz Cama. 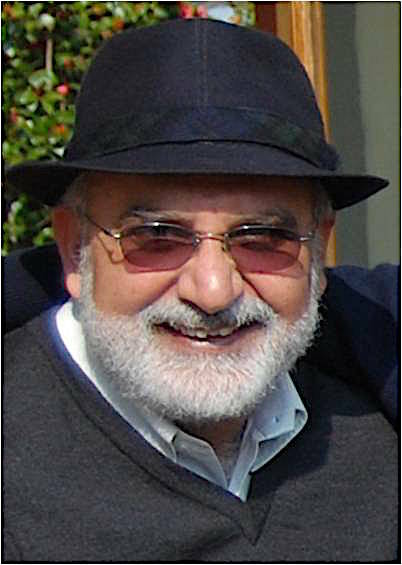 Khushroo Engineer is a graduate of the Stanford Business School. He worked with Lever Brothers in London and subsequently with Warner Hindustan and Cadbury India Ltd. in their Marketing Departments. He also worked with the Chanrai Group in Lagos, Nigeria. He is married and has two children. 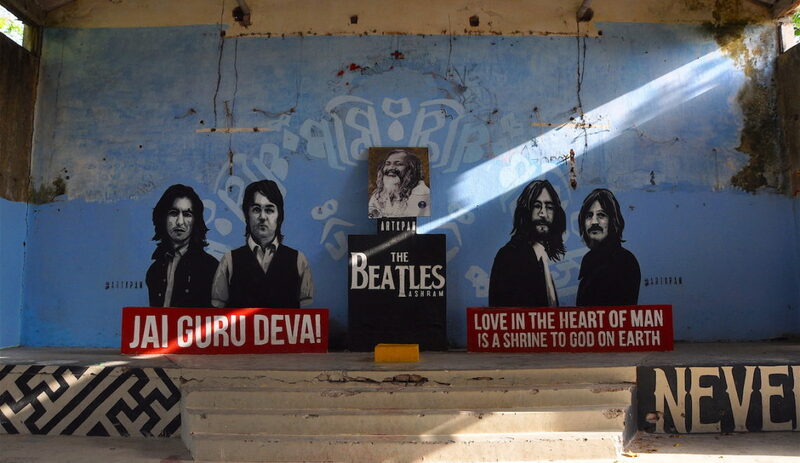 He currently resides in Nainital, India, and looks after the family business. The planning and arrangements for our 19-day trip were made by Fareda with the help of a travel agent in Tehran. Planning and booking by yourself is not without its hurdles (there are religious tours organised by Indian Parsi tour operators but we wished to travel independently). There is not much booking information online and in the rare occasion when we did find some, we received no response to emails (be prepared to make a lot of phone calls). 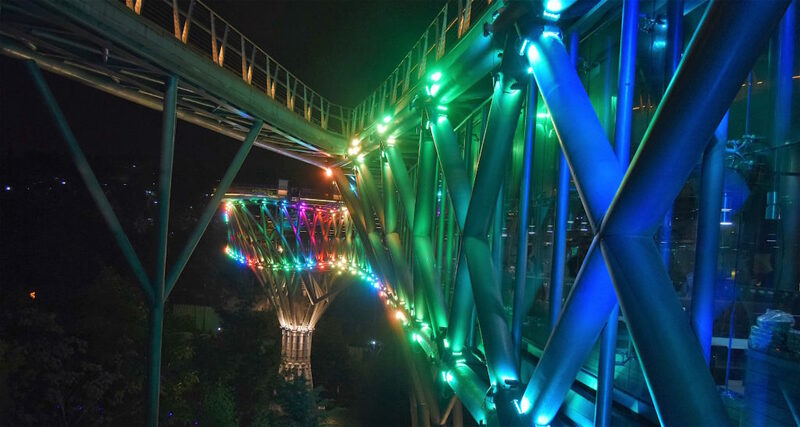 We found our travel agent online and trusted the reviews – trying to arrange your itinerary in Iran without the help of a local travel agent is almost impossible. Once organised, the arrangements went off very smoothly and we used local contacts to make our bookings in Yazd and Isfahan. When we finally reached Iran, it was well worth the trouble and found the people extremely warm and welcoming. 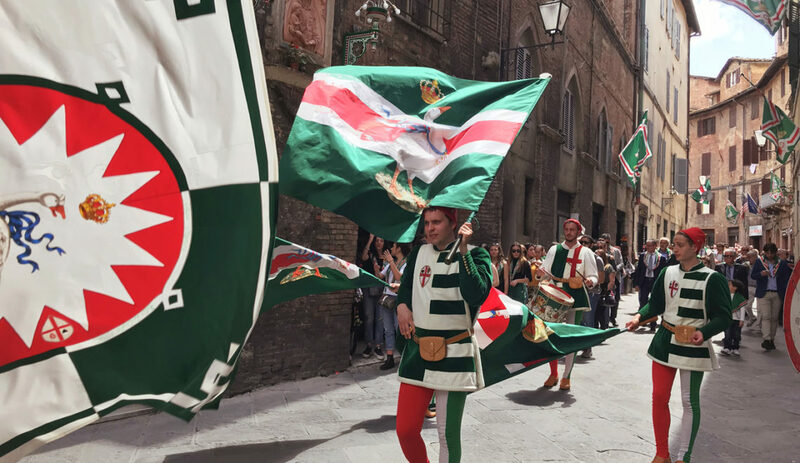 May-June is a good time to travel. The hotels are good. The roads are excellent. However, western-style toilets are few and far between; as a matter of abundant caution, we carried a portable toilet seat that we named ‘Piku’ (after an Indian film by the same name, featuring a road trip with a focus on toilet habits). Fortunately, we never had to use it. Language is a problem – an interpreter is required as English isn’t widely spoken. Regarding currency, we carried US dollars and exchanged them for Irananian rials (no transactions may be conducted on the internet). We paid a 10% tip to drivers and hotel staff. The Iranian plateau is predominantly desert, but the cities and their ancient palaces are virtual oases of greenery – a tribute to the people’s water management skills and the ancient network of underground canals which extend for thousands of kilometres. Over half the population of Iran is below 35 years of age, born after the Islamic Revolution of 1979. The rule of the Clerics is all they know. If there is a personality cult, it is that of the Supreme Leader, of which there have been two: Ayatollah Ruholleh Khomeini, the founder of the Islamic Republic of Iran; and, since 1989, the current Supreme Leader, Ayatollah Ali Khamenei. Their portraits adorned every mosque that we visited. However, the liberals, under President Hassan Rouhani, are gaining strength. The people are friendly, curious, helpful and welcoming. You will find them sharing food and other things with you so you may want to carry some chocolates or small gifts to return the kindness. 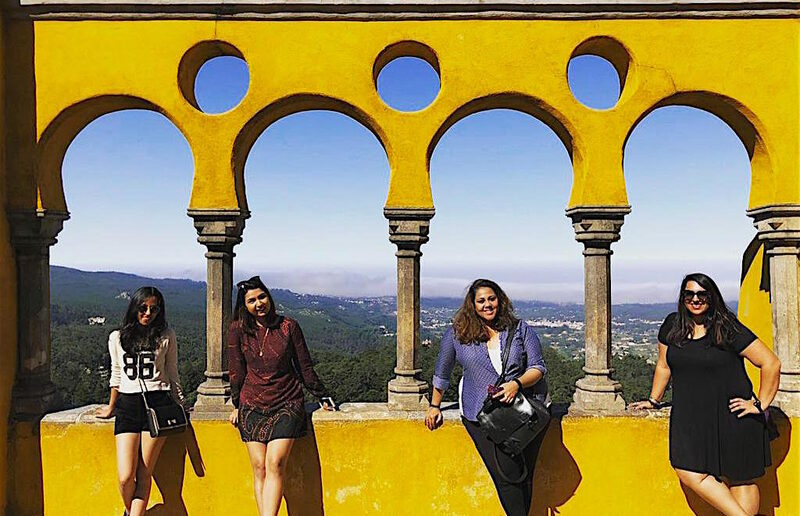 Regarding clothing, women must wear headscarves and arms and legs must be covered while men should avoid shorts and sleeveless vests – ask your travel agent for details. The Islamic Dress Code was not as rigid as we expected it to be – especially for foreigners – and the Religious Police were unobtrusive (women were required to wear full gowns or chadors at a few mosques and the gowns were provided at the locations). Iranian food is dry and does not have any gravy or sauces. The kebabs are great but vegetarians tend to suffer. Iran, being an Islamic state, does not permit the sale of alcohol but there are ‘non- alcoholic beers’ on offer! 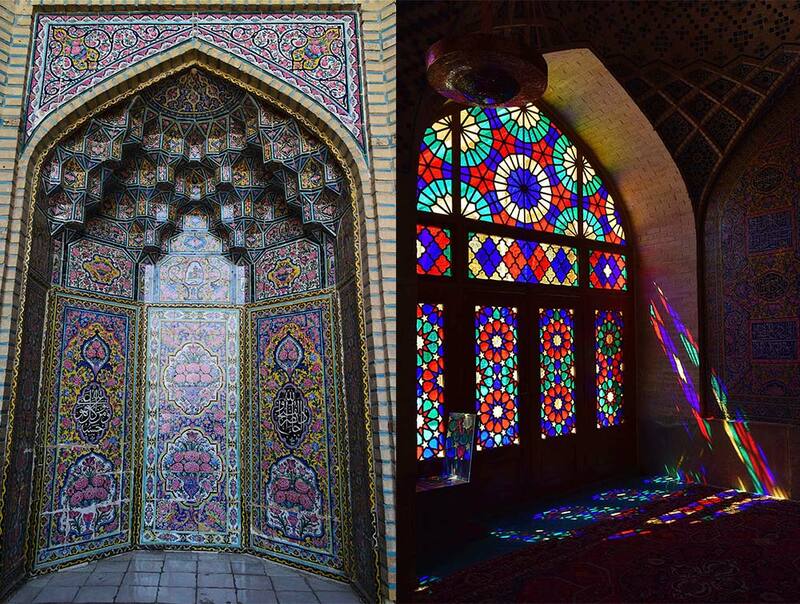 From roofs and frescos to tile work, mirror work and plaster work, Iranians are masters of decorative design. It is no coincidence that the Taj Mahal was designed by a Persian architect and constructed with the help of Persian artists and artisans. Very well written, felt like taking the trip myself after reading it. I have always been fascinated by Iran. Being a friend of India, not much travel happens from India to Iran, though I guess a lot more happens from Iran to India. The people of Iran are also very good and helpful and very much liked here in India. The Armenian Church, Isfahan and Qom Mosque, both look really beautiful! Very sensible tips too! Loved the travel pics. Thanks, Jeetendra. Yes, it is indeed an inspiring piece. Good luck with any future travels to Iran!